Three Locations that work together to Serve You Better! We can provide you with a written estimate at any time. Some insurance companies choose to do there own. If you have an estimate from the insurance company please provide us with a copy. That way if any additional damage is found then we can contact that company to collect for any further damages. The state of Virginia does only require you to get one estimate for your repairs, if the insurance company does ask for more than one, you are not required to but we can recommend another shop to get you one if it will speed up the process. If your policy covers a rental car while your car is being repaired, or the insurance company that is paying for the repairs is providing you with a rental car the following info is important. If your policy is covering the rental costs then be aware of any rental caps that you may have, most policies only cover up to $500 or $600 worth of coverage. It is important to only rent a size car that you may need as this will lower the daily costs and provide more days of coverage in case you have a larger repair that may come close to your rental max. 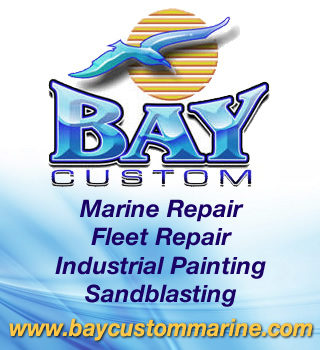 Bay Custom Auto provides a lifetime warranty on the workmanship that is completed on your car. This warranty is only for the lifetime that you own the vehicle and is non-transferable. You may also qualify for a 5 year warranty backed by Axalta on the paint work completed on your car. It is important that you know the differences of the type of parts that are being put on your car. The three types of parts are as follows. Aftermarket: a part that is made for your car by a company other than the manufacturer. Used or LKQ (like, kind, and quality): as used part off of a salvage vehicle. We will put any type of part on your vehicle that you prefer but some insurance companies may require a part other than an OEM part. They should also warranty the part as they do an OEM. Be sure to ask the type of part being put on your vehicle. While it is sometimes impossible to get an estimate Perfect, we strive to get all of the damage written up the first time. However from time to time there is damage that is unforeseen. We will be happy to notify the insurance company of this damage for you and also advise you of the unforeseen damage. It is important to know that this could cause delays in the repairs. If at any time during the repair process you feel uncomfortable or have questions about you repairs or your claim please feel free to ask anyone on our staff to help you. If for some reason you are not happy with our service or have a concern then please feel free to contact me anytime. You may be surveyed by a third party on the experience that you had with us. It is important to me that we do the best we possibly can so that these surveys reflect the way we want to do business. Your business is important to us and we want you to have the best experience possible.